Before the start of our journey, I was quite unsure about what to expect from it. Being a frequent train-traveller in India, the entire idea of luxury train-travel felt a bit strange. 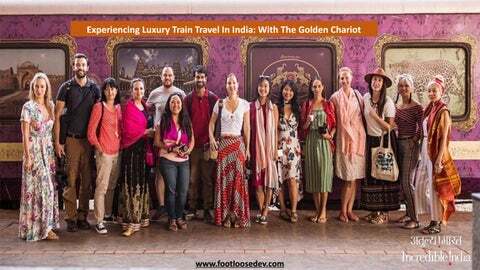 But it turned out that travelling in The Golden Chariot was not just about experiencing luxury or exploring a few highlighted places, but experiencing a way of life â&#x20AC;&#x201D; all with a touch of royalty. Before we started our journey, from Bangalore, and boarded the train for the first time, we were welcomed with a brief red carpet walk, some live Indian classical music, flower garlands, and refreshments, just like Maharajas would do in the past. Later, the representatives of The Golden Chariot greeted in a traditional South Indian way and quickly debriefed us with what to expect in the days to come. From the decor of the suites to the cuisines served at the dining cars to the places we travelled to, all spoke of nothing but a hint of rich South Indian lifestyle. Our journey took us to many UNESCO and other archaeological sites in India. To name a few, we visited The Mysore Palace, Tipu Sultanâ&#x20AC;&#x2122;s Summer Palace, the 12thcentury Hoysaleswara temple in Hassan, the highlighted ruins in Hampi, Badami Caves, and the 8thcentury temple complex in Pattadakal. The tour concluded while relaxing on a private beach in Goa and toasting with new friends with some style and decadence. Now if youâ&#x20AC;&#x2122;re thinking how we managed to visit all the places since some destinations didnâ&#x20AC;&#x2122;t have a railway line connecting them, let me tell you that we did it in a luxury bus, which was just as much a part of the journey as travelling in the train. 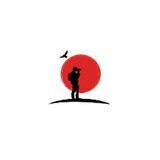 At every destination, we would meet a tour guide and travel with him on the bus that would take us through the details of various sight-seeing places and help understand the place better. Awarded as ‘Asia’s Leading Luxury Train’ in the year 2013, The Golden Chariot is a magnificent treat in terms of hospitality and service. All its cabins are inspired by the ancient Hoysala temple architecture and are vibrantly coloured in golden and purple — exhibiting the fine architecture of the South and the astounding craftsmanship of the golden days of South Indian kingdom. From the ceiling to the floor, and everything else in between appeared like a mini replica of a south Indian palace. What Made The Journey Unforgettably Special The hospitality of the staff remained the biggest highlight for me. They would do everything for the guests — from bringing them the morning tea in the room (if asked for) to taking care of the laundry to keeping them appraised of each day’s schedule — and make them feel special. Another thing that felt quite special â&#x20AC;&#x201D; that, in fact, is hard to convey in words â&#x20AC;&#x201D; was the luxury of lying in the comfort and privacy of my own bed, and staring dreamily out the window as the train traversed through a changing landscape. The whole experience was quite philosophical and entertaining at same time.